Happy Tuesday! I just love a shortened work-week, don’t you? How was your holiday weekend? 2. Slowly drizzle in olive oil and continue pureeing until well blended. 3. Serve with cooked pasta of your choice or on hearty bread. 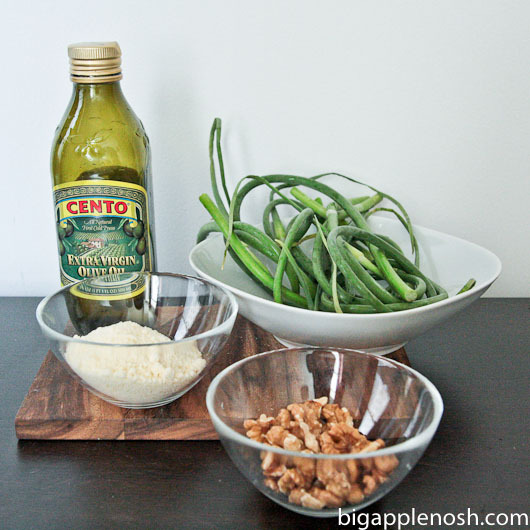 Have you heard of garlic scapes before? 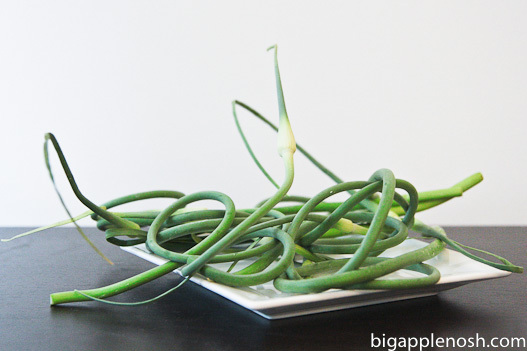 How do you prepare your scapes? That looks so delicious!! I want to try them! I normally just stir fry garlic scapes like normal vegetables. Your recipe looks good! 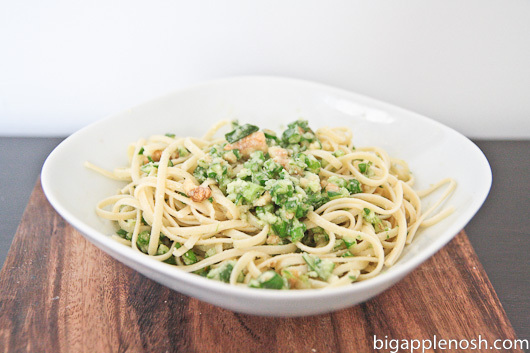 Oh man, I love pesto and I'm obsessed with garlic – so this recipe sounds absolutely fantastic! i just cooked with garlic scapes this past weekend also! hooray for scapes! I first heard of garlic scapes on your blog! I wouldn't even know where to find them. Food Blog: Big Apple Nosh | Kansas City | New York | Restaurants | Recipes | Reviews | GIVEAWAY: Year’s Supply of Scope Dual-Blast Mouthwash!